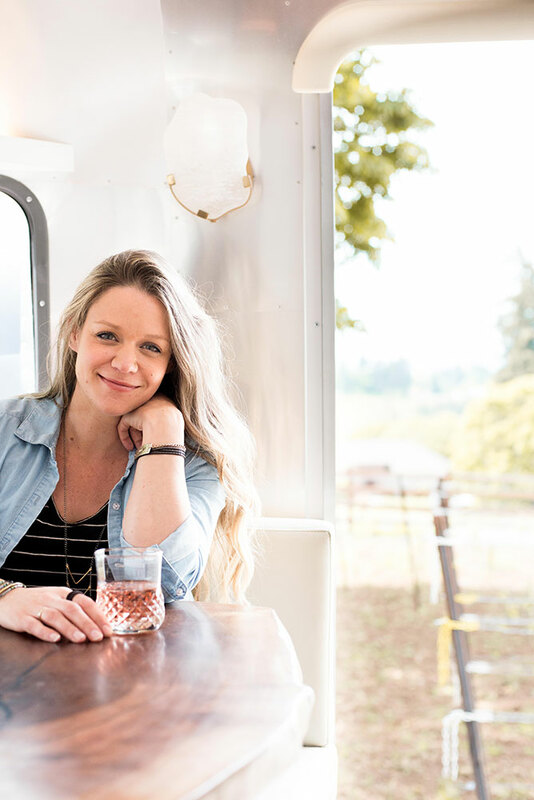 Silver Julep is Portland, Oregon’s award-winning bar caterer in a classic Airstream trailer. We designed and built Silver Julep to be the perfect bar: a blend of old and new, iconic style and modern touches, fun and function, craft cocktails and seamless hospitality. Bring a more memorable bar experience to your weddings, festivals, marketing events and parties! Mint and Mirth built a name throwing fancy cocktail parties for events large and small. With Silver Julep, we’re taking our beautiful craft cocktails (and local beers and wines on tap) almost anywhere you can dream up. Kate Bolton knows great drinks. With multiple awards under her belt and almost twenty years of hospitality experience, Kate’s earned her spot as one of the best bartenders on the West Coast. Kate was named a San Francisco Chronicle Bar Star (2012), an Eater and Nighty Awards Bartender of the Year (2013, 2014), in 2014 her menu at Maven was honored as 7x7 Magazine’s Best Cocktail Menu and in 2016 The Oregonian voted her cocktail program at Americano as Portland’s Bar of the Year. Dreaming up and building Silver Julep is a dream come true for Kate, she can’t wait to be part of your adventures!